Have a roaring good time with the Chad Valley Talk and Touch T-Rex. This engaging interactive and talking T-Rex is not only great fun but has an educational element too, introducing kids to sensory stimulating animal sounds and improves hand-eye coordination. 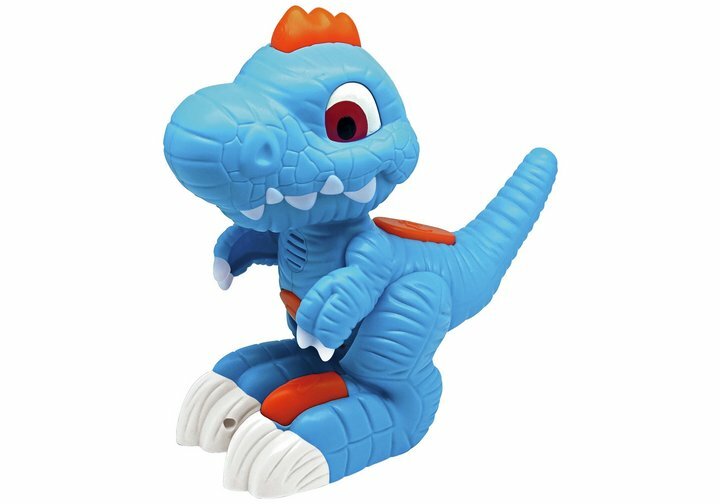 With it's moveable arms, bright light up eyes and talk back function located at the top of its head, this dinosaur is sure to become a favourite thanks to it's uniqueness. Fire up the imagination in little ones with this Chad Valley Talk and Touch T-Rex. Get money off with April 2019 free Argos voucher codes, see if there's a discount code for the Chad Valley Talk and Touch T-Rex product. 4.3/5 from 9 recent reviews.